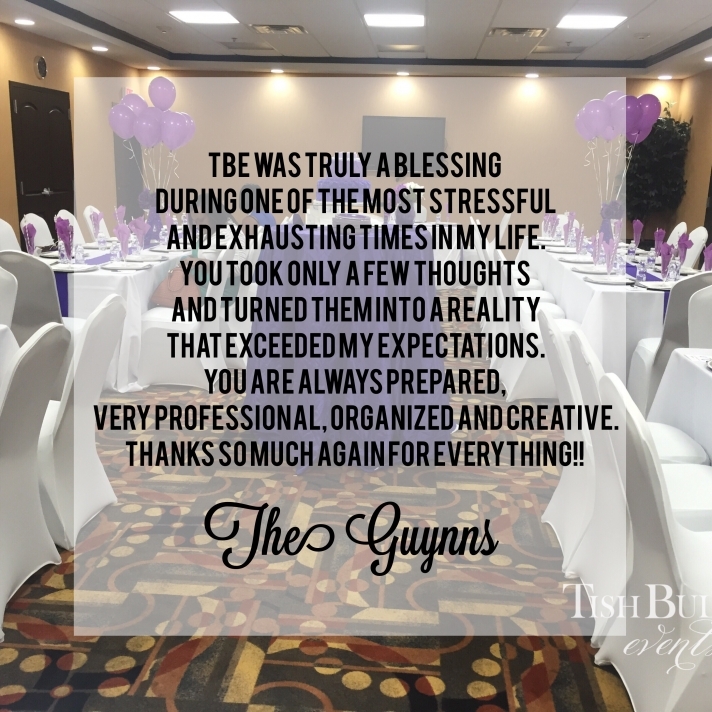 It’s one thing for the Tish Bullard Events team to think that we did a great job. But what really determines that is what our clients think. Each and every event that we do, we work hard to make your experience a pleasurable and memorable one.